Activity schedules-a set of pictures or words-enable children with autism to engage in activities with greater independence. This guide provides a detailed overview and instructions. With these simple but revolutionary teaching tools, children need less adult supervision and are able to complete specific tasks on their own. This book is a handy first-reference point guide to the full range of developmental conditions as they affect adolescents and adults. Each chapter focuses on a different condition, describing its history, causes and characteristics, its implications for the individual, diagnosis and assessment, treatments and approaches, and strategies for providing support and self-support. A wide range of conditions are covered, including Autistic Spectrum Disorders, Dyslexia, Dyspraxia, ADHD, OCD, Tourette\'s and Anxiety Disorders. From the award-winning author of "Autism Spectrum disorders" comes this complete guide to the cognitive, emotional, social, and physical needs of preteens and teens with autistic disorders. Children on the Autism Spectrum often grow up to find they are unable to cope effectively with the challenges of adult life. This book shows that, with the appropriate lifelong care from parents and caregivers, it is possible for those with neurodevelopmental disabilities to achieve supported independence and live fulfilling adult lives. Provides a guide for parents on how to prepare their children for adulthood, and describes in detail the kinds of services people with ASDs need in order to live independently, away from the parental home. Explains the importance of the cognitive abilities that enable us to regulate behavior and adapt to changing situations, known as Executive Functions, and how an individual's deficits in this area can be especially problematic in the adult world. Applied Behaviour Analysis (ABA) is an effective behavioural treatment programme widely used with children with autism to improve socially significant behaviours. This practical book gives detailed guidance on how to develop a tailored ABA programme that includes the key features of ABA: detailed individual behaviour assessment, reinforcement strategies to encourage new behaviours and systematic programme implementation. Chapters also include individual family case studies and discuss relevant issues such as day-to-day management of programmes for both younger and older children, collaboration in the community, sibling support, school-based programmes and obtaining services. The international contributors offer practical advice on the approach needed for the successful implementation of ABA. Applied Behaviour Analysis and Autism will be a key resource for parents, teachers, social workers, psychologists, researchers, nurses, health visitors and anyone with an interest in improving the ability to cope with the world of children with autism. When first published in 2008, The Australian Autism Handbook quickly became the go-to guide for parents whose children have been diagnosed with an Autism Spectrum Disorder. In this new edition, the book has been updated with all the latest research, the ratings guide for early interventions, new chapters on teens; Asperger�s syndrome; DSM5 diagnostic criteria; and advice for dads by dads. Its new resources section ensures you make the most of your funding and lists every website and phone number you could ever need. The Australian Autism Handbook is a practical and comprehensive guide to every aspect of raising an ASD child. This useful, accessible guide offers teachers and parents a better understanding of children on the autism spectrum and provides them with the kinds of support and intervention they need. Written in an easy-to-read checklist format, the book is filled with up-to-date research, practical advice, and helpful resources on a wide range of topics. The book covers five areas: basic information on autism, checklists for parents, checklists for teachers, effective support strategies, and helpful resources. Provides vital, accessible information for parents and teachers working with children in the autism spectrum Contains a wealth of useful strategies, information, and resources. Intimate, bold, and inspiring, Autism Heroes provides a compelling and sensitive account of the experiences of 38 families from different walks of life confronting the challenges of autism with courage, tenacity and love. With empathy and expertise gained from her three decades of leadership of The Help Group and commitment to children with special needs, Dr. Barbara Firestone engages the families in candid, powerful and deeply affecting conversations about their lives. Each family narrative is set against the backdrop of her insightful essays about dignity, hope, opportunity and love, which are fundamentally important to all families living with autism. The families offer their experiences openly and honestly, sharing their challenges, triumphs, and hopes. Their candor helps demystify and destigmatize autism and embraces other parents just beginning or already on the journey. This essential resource was developed to respond directly to the extraordinary difficulty school professionals and families face in selecting and applying appropriate, effective interventions and treatments for the children in their care. Comprehensive in scope, this resource briefly evaluates over 40 commonly used interventions and treatments for individuals with ASD, as well as detailed evaluations of their utility and efficiency. It will assist readers in critically evaluating and choosing those methods that have the highest probability of yielding benefits for this special population. Parents of autistic children are offered practical advice from a leading medical authority on autism--also the parent of an autistic child--who explains proper diagnostic techniques and ways to teach basic skills, improve communication, expand social interaction skills, and more. Following a child's diagnosis with autism, families often face a bewildering array of questions, concerns, and anxieties. This essential book provides new and established professionals and practitioners with invaluable insights they?ll use to avoid misunderstandings and communicate accurately and sensitively; understand parents? complex emotions and perceptions; nurture strong, respectful partnerships with parents; conduct effective assessment and intervention; demystify assessment results for parents; assist families in choosing and evaluating intervention services; help families manage the short- and long-term issues that arise when parenting a child with ASD; and increase their own awareness of the vocabulary of autism and the facts and mysteries of the disorder. Building on their research and interviews with more than 60 families, the authors reveal parents? needs, concerns, beliefs, and dreams. Chris and Andrew are very good friends, but sometimes Chris does things that Andrew doesn't understand. Chris can hear a fly buzzing when it's a mile away! But he doesn't like bright flashing lights like the ones on Andrew's favourite arcade game. Chris and Andrew have lots of fun together, but at times they laugh at completely different things - it doesn't matter though, because everyone is different, and being different can be rather cool! Chris and Andrew are here to help people understand the experiences of a child with autism, and how others can help by understanding how they are different, and recognising their many unique talents. This fully-illustrated book is targeted at boys and girls aged 5+, and also serves as an excellent starting point for family and classroom discussions. This enthralling memoir revels the darkest fears, struggles, exhaustion, tiny victories, and eventually joy of a family dealing with their son's autism. Parents and professionals often ask how to teach social skills and how to design social skills programs for children with ASD. Often they are seeking answers to basic questions such as ?where do we start? and ?what strategies do we use?? This book addresses the need for social programming for children and adolescents with ASD by providing a comprehensive five-step model. The model incorporates the following fives steps: assess social functioning, distinguish between skill acquisition and performance deficits, select intervention strategies, implement intervention, and evaluate and monitor progress. This model will also show you how to organize and make sense of the myriad of social skills strategies and resources currently available to parents and professionals ? it is not meant to replace other resources or strategies, but synthesize them into one comprehensive program. Finding out that your child has Asperger Syndrome can be devastating enough, but when you discover that he or she won't eat 99.9 per cent of all food and drink in the known universe, the fun really starts. This was the situation the author found herself in a decade ago when her son first took a dislike to milk, and then to virtually every other substance she attempted to feed him. Her book was written to reassure other parents that there are lots of people out there in the same boat, and to suggest practical methods of dealing with the problem. As well as drawing on her own experience, the author has spoken to parents, children, and professionals with first-hand knowledge of dietary difficulties, and their advice and comments form a key part of the book. Children With Starving Brains is a message of hope in the midst of a worldwide epidemic of autism, ADD and ADHD. This is the first book written by an experienced clinician that gives a step-by-step treatment guide for parents and doctors based on the understanding that ASD is a complex biomedical illness resulting in significant brain malnutrition. Genetic susceptibility activated by triggers such as pesticides and heavy metals in vaccines can lead to immune system impairment, gut dysfunction, and pathogen invasion such as yeast and viruses in many children. The author describes important diagnostic tools needed to select appropriate treatment programs. Her book explains major therapies newly available and identifies safe and effective options for parents and physicians working together to improve the health of these special children. This comprehensive book shows how to develop the tools necessary to help people on the spectrum cope with their emotions, anxieties, and confusion about the often overwhelming world that surrounds them. Illustrated with useful case studies, it covers a range situations where counselling may be helpful for individuals with ASD, both children and adults, families where a member is on the spectrum, and couples where a partner has ASD. It also addresses specific issues, including depression, anxiety, emotional regulation, social skills, and stress, with effective strategies for dealing with each issue. As well as being indispensable for counsellors, this book provides valuable information and advice for anyone working with people and families affected by ASDs. Just a few weeks old, Dasha the cat found herself in a family with an autistic child. The feline perspective provides a new outlook on autism conditions, challenging long established stereotypes and analysing controversies in the field with an unbiased attitude and humour. The feline perspective provides a new outlook on autism conditions, challenging long established stereotypes and analysing controversies in the field with an unbiased attitude and humour. The text is interspersed with Dasha's 'wisdoms', 'research notes' and definitions of concepts based on her own understanding, such as 'A pet shop is a place where humans come to be adopted by the animals who are brave enough to take a responsibility of looking after them.' Dasha's Journal provides research-based information in an amusing and accessible form and makes serious and complicated issues such as sensory perception, memory, communication, savant skills and challenging behaviours in autism easily understandable for the general reader. Parents, caregivers and educators are often at a loss about how best to support an individual with autism because they are overwhelmed by 'behaviours', inundated with prognoses and clinical jargon, or confused by technical information. This book introduces autism from a non-clinical, humanist perspective, emphasizing that we are all more alike than different. The author deconstructs the fundamental concepts of the autistic experience using language, examples and anecdotes that are concrete and understandable for all. Reinforced for the reader is the importance of listening carefully to what people are telling us about valuing differences, personal passions, communication, and holistic wellness. Introduces children aged 8-12 to inspirational famous and historical figures from the worlds of science, art, math, literature, philosophy and comedy including - Albert Einstein, Dian Fossey, Andy Warhol, Alan Turig, Lewis Carroll, Isaac Newton and Temple Grandin among others. A valuable resource for those associated with autism, which can also assist those with autism to understand more about their diagnosis. Sofie Koborg Brosen is eleven years old and, like other children of her age, goes to a mainstream school, loves reading comics and being with her family and her cat, Teddy. But Sofie is not the same as everyone else - she has autism spectrum disorder. Misunderstood by her classmates, she has written a book about her world so others can learn to understand her, and vice versa. This fully illustrated book is an invaluable resource for teachers, parents, carers, support workers, children with autism spectrum disorders and their classmates. The most crucial aspect of treating and helping kids with Autism Spectrum Disorders (ASD) is catching it early and beginning treatment before it's too late. In this book, Stone provides specific checklists of symptoms to watch for and a screening test that everyone can use at home. In this thought-provoking book, William Stillman, an adult with Asperger's Syndrome, offers hope and real-world information for parents of children with autism. The author clears aside the common misperceptions of autism to reveal the truth: people with autism are intelligent, insightful, and inspired human beings entitled to participate and contribute to the fullest. He also shatters myths about high-cost therapies and "autism medications"--grist for an industry that promotes a culture of fear about autism. Written in an accessible question-and-answer format for easy navigation, this book provides detailed, practical answers the real questions asked by parents of children with autism spectrum disorders (ASDs). One hundred questions, organized by topic, cover common everyday problems, from advice on what to do if your autistic child routinely runs away when in the supermarket to tips on how to stop him from spRichman outlines succinct behavioural plans to help parents and professionals encourage appropriate behavior and help their child make progress with learning positive behavioral patterns. She also offers advice on how to recognise maladaptive behaviors and explains the reasoning behind taking a proactive approach with children on the autism spectrum.itting. From the authors of the timeless classic "The Child with Special Needs" comes their long-awaited landmark guide to autism and autistic spectrum disorders. Covering all types of ASD, including Asperger's Syndrome, from the earliest signs in infancy through the schol years - and on into adulthood. Wonderful Stanley Greenspan, he is a gem. With both the detection and awareness of autism spectrum disorders (ASD) on the rise, there is an urgent need for an increasing number of professionals to not only learn about the nature and course of the various autism spectrum disorders, but also to know how to identify, assess, and diagnose the presence of these disorders. Essentials of Autism Spectrum Disorders Evaluation and Assessment addresses the main domains of assessment, defines the purpose of the assessment, suggests test instruments, and discusses the unique clinical applications of each instrument to the diagnosis of ASD. Providing an in-depth look at ASD evaluation and assessment, this straightforward book includes samples of integrated reports from comprehensive model diagnostic evaluations and prepares clinical and school psychologists, as well as speech and language pathologists, to effectively evaluate and assess ASD. Visual support aids can be highly effective tools for increasing levels of communication and independence in children with autism, who often have difficulty interpreting spoken language and non-verbal facial expressions. Fully illustrated with inspiring examples, Everyday Education provides a wealth of ideas for creating visual support aids for children on the autism spectrum. Photographs and clear, practical explanations describe how these tools can be arranged helpfully around the home for the child to use. The authors describe how visual support aids can be used in all kinds of everyday situations, from labeling ? for example, sticking a picture of a dinner plate with a knife and fork to the chair in which the child sits at meal times ? to putting together a pictorial activities schedule for the child to refer to. 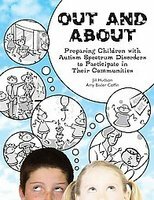 This fun and encouraging book will be a valuable source of ideas for parents of children with autism and professionals working with them. Anxiety is the root cause of many of the difficulties experienced by people on the autism spectrum, and is often caused by things such as a change in routine, or sensory overload. This book takes a practical look at what happens when things spiral out of control, exploring what leads to meltdowns and and tantrums, and what can be done to help. Giggle Time is a step-by-step program for parents, teachers and other professionals to help develop the non-verbal, verbal and social reciprocity skills of children with autism. It describes in accessible detail how to communicate with children with autism and gives clear instructions on "how to" techniques for developing language skills. Specifically addressing developmental delays, Giggle Time helps to lay the necessary framework for future language growth by turning the actions the child initiates into interactions with meaning. This is a user-friendly guide, packed full of fun and child-centered exercises that can be carried out at home or in the classroom. Growing up isn't easy, and the trials and tribulations of being a teenager can be particularly confusing for girls with Autism Spectrum Disorders (ASDs). This book covers all the concerns commonly faced by girls with ASDs and their parents, from periods and puberty to worries over friendships and "fitting in". Taking a good look at these adolescent issues, and many more, within the context of specific areas of difficulty for girls with ASDs, the authors provide families with the knowledge and advice they need to help their daughters - and the whole family - through the teenage years. This book addresses core issues such as cognition, communication, behavior, sensory sensitivities, and social difficulties; it gives candid and realistic advice on a wide range of important teenage topics. Providing professional perspectives alongside personal experiences from mothers, daughters and educators, this is a unique and indispensible guide for families and their daughters with ASDs, as well as the teachers and professionals who work with them. When teenagers with special needs transition from school to adult life, both they and their families are faced with many new decisions and challenges. This book provides practical advice and valuable information to help families prepare themselves and their teenager for that transition, allowing it to happen as smoothly and seamlessly as possible. Highlights the impact of moving from the special education system to the reality of adult life and employment and emphasises the need for young adults to develop self-advocacy skills by being included in all decisions and discussions about their future. 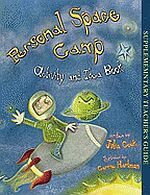 The first part of the book focuses on specific techniques parents can incorporate into the family's everyday routines that will enhance the development of essential life skills. The second part provides families with vital information on programs and support services available to adults with special needs. It also stresses the importance of developing an effective transition plan to help the teenager explore avenues that are suitable to his or her personal goals and abilities. An essential guide to this critical transition period, this book is invaluable reading for families of teenagers with disabilities who are preparing to move on from school life. This powerful, comprehensive guide to autism intervention and education will empower you with the skills and motivation to foster success in young people with autism. Each page is packed with an uplifting blend of practical strategies, experience-based wisdom, and heart-fueling inspiration that will help caregivers and professionals apply the techniques and attitudes that have made author Jennifer Abeles one of the most respected professionals in the autism community today. Her unique, effective, child-centered approach to autism has already improved the lives of countless individuals living with autism. Your child or student is next! If you have a child on the autism spectrum who struggles with the challenges of daily life, then this book is for you! Hints and Tips� is peppered with vignettes and stories of real-life situations and successes, and offers clever ideas for tackling everyday difficulties, such as bathing, bedtime, school trips, and selecting the right child minder. Provides creative, practical strategies to help parents and caregivers to support their child, and to enable their child to develop the social skills needed to manage and enjoy daily life to the fullest. The book is split into five parts: home life, hygiene, community, medical, and schools and organizations. Common problem areas are also tackled in a toolkit section, which includes checklists, 'to do' lists, visual schedules, and mnemonics to aid memory and retrieval. Hints and Tips for Helping Children with Autism Spectrum Disorders is an essential aid for parents and carers to make small and simple changes that result in big improvements in the quality of life of children, their families, and carers. Provides creative, practical strategies for helping children with ASDs to function effectively at home and in the community. Encourages parents and carers to think in autism - to take the perspective of an ASD chid and work to make their environment a friendlier place. Advocates small and simple changes that result in big improvements in the quality of life for children, their families and carers. This clear and accessible introduction to autism, provides a host of ideas and examples that enable the reader to understand the phenomenon of autism, recognize different kinds of autistic perception and behaviour, and prepare for interaction with autistic people. To help 'normal' people understand and lose their fear of autism, the notions of 'slight' autism, being or becoming 'autism-friendly', and the mental well-being of autistic people is discussed. The author explains how autistic perception 'works' and how it yields autistic behaviours', to enable readers to see the world through the eyes of an autistic person, and thus change the way they perceive autism. This is a comprehensive guide to establishing shared play experiences that assist in the development of communication, social understanding and cognition. Easily accessible, and packed full of practical resources, the book defines the importance of play both developmentally and psychologically as having a major influence on the enrichment of meaningful interactions and childrens learning. Diana Seach expertly discusses how play enables children with autism to: represent their knowledge of the world and their relationships with others spontaneously explore ways of thinking about themselves and the objects they encounter develop communication and companionship discover motivating ways to learn extend their imagination and creative potential. Those who live and work with children who have autism and Asperger syndrome will find Interactive Play for Children with Autism an invaluable tool when implementing strategies to develop interactive play in educational establishments, care settings and the family home. This little book allows anyone who lives or works which children with autism to understand their world through an 'autism lens'. This book provides information to develop an understanding of autism and delivers evidence-based strategies for communication, social interaction and the emotional, behavioural and sensory challenges faced by young people with autism. This enlightening book is an ideal "autism primer"--the one to read first to get a solid understanding of what autism is, how it affects behavior and learning, and how professionals and families can effectively work with and care for children with autism from preschool through elementary school. Expertly translating research and science, highly respected autism authority Travis Thompson gives readers plain and simple explanations of brain development and differences in children with autism, curricular and environmental adaptations, positive behavior support, types of early intervention and assessment, controversies surrounding autism treatments, and more. With this reliable, accessible resource, readers will learn to see the world through the eyes of children with autism and address the issues they and their families face on a daily basis. Autism is now an epidemic in the U.S. and rising by as much as 1,000 percent in some areas. This book explores the reasons why this is happening and offers information about effective treatment options that can ameliorate or even reverse the disorder. Donna Williams was a child with more labels than a jam jar; deaf, wild, disturbed, stupid, insane� In her own words, she was a Nobody Nowhere as she swung violently between a battle to join the world and a battle to keep the world out, a battle she waged from where she lived in what she called 'a world under glass'. Nobody Nowhere is disturbing, eloquent and ticklishly funny: an account of the soul of someone who lived the word 'autism' and survived an unsympathetic environment despite intense inner chaos and incomprehension. Despite the odds, Donna came to live independently, achieve a place at university and write this incredible international bestseller, now in over 14 languages throughout the world. This is a book that will stay with you as one of the most exceptional works you will ever read. Somebody Somewhere: Breaking Free from the World of Autism, and Like Colour to the Blind : Soul Searching and Soul Finding take up Donna's story at the point at which this volume leaves off. Short, to-the-point resources that will be used again and again by parents and educators. The focus is on the every day, how to enable and support individuals on the autism spectrum to participate, to the maximum extent possible, in the community around them. In this simple book, the authors provide a framework for identifying the areas where an individual with ASD may need support to participate more fully and successfully in community activities. The framework, created as a Blueprint to be filled in, depending on the child and the outing being planned, lists 10 areas identified in best practice as effective types of support for children with ASD. Areas includewaiting plan, communication, social, visual, hidden curriculum, sensory, motivation, behavior, transition, and siblings or other students. Lawson explains that whereas neurotypical people can easily shift their attention from one interest to another, those on the autism spectrum tend to focus on a single theme at any one time. This leads to a deep, intense attention. A theory that she calls Single Attention and Associated Cognition in Autism (SAACA) Lawson describes practical outcomes for individuals, families, educators and employers. Children and young people with autistic spectrum disorders present many challenges to the people who care for them. 'Difficult' or challenging behaviour is often encountered on a daily basis, and it is easy for both parents and professionals to feel completely overwhelmed by its sheer range and complexity. Where do you start? What happens when, in managing one set of problems, another gets worse? Is there some way to tackle difficulties before they get out of hand, or even before they arise? Practical Behaviour Management Solutions for Children and Teens with Autism answers these questions and provides practical solutions that really work. It offers a complete framework for behaviour intervention which has its roots in prevention and good practice, with an emphasis on promoting and encouraging the development of skills and independence. From identifying behaviour and understanding the root causes, through to planning and implementing a comprehensive intervention programme, this book is packed with practical strategies and expert guidance. While clearly defining the steps you need to take, it also allows for flexibility according to need and individual contexts. Designed specifically for parents and teachers, and complete with photocopiable tools, this book will provide structured yet flexible guidance for all parents and professionals supporting a child or young person on the autism spectrum. This revised an updated edition for parents of children with autism describes the critical compenents of an Early Intensive Behavioral Interventon program, a highly effective treatment based on Applied Behavior Analysis (ABA). Parents of young children with autism, ages 18 months to 5 years, learn what to look for in an ABA program. New information covers the latest research on the benefits of Early Intensive Behavioral Intervention, the types of instruction used, the professionals involved, and the pros and cons of home-based versus school programs. The authors authoritative information gives families the confidence they need to make an educated evaluation of an intervention program that will be most effective for their child with autism. The story focuses on Amenta's son Russell at age nine, the ways his autism manifested in his daily life, and how it affected his family. Completely revised and updated, this book focuses on sensory perceptual problems as identified by individuals on the autism spectrum. This book brings hope where despair has prevailed. It offers the prospect of early detection of prodromal signs of autism and the possibility of effective therapeutic mitigation. Directed at the clinical practitioners who must build bridges between theory and practice, this book combines what we know with what we know that works, all for the betterment of the babies and their families. Early intervention is the treatment, the tool of the clinician, because it sits somewhere between prevention and acute care. The advances described in the book-from the medical, biological and psychological sciences-have extended our reach for better outcomes into the preverbal, the unconscious and the mental matrices that define our behavior. Stella Acquarone and her colleagues show us that we can recognize the signs of autism in infants and intervene early-and that these interventions have proved successful. Problems with sleeping are common and make life difficult for the individual who is affected and for those around them. Sleep difficulties are particularly prevalent amongst people with Autism Spectrum Disorders (ASD) and often cause or worsen other difficulties. This comprehensive guide to the management of sleep problems, introduces all the proven remedies and focuses on the problems commonly found in ASDs and related conditions. The author discusses sleep in depth, including how we currently define and understand it. The full spectrum of sleep disorders is explained alongside the range of possible treatment approaches. The book also examines why some sleep problems are more common among people with an ASD than others, how sleep problems evolve over time, what can be done to treat them and the likely benefits from different treatments. This book is a complete resource for professionals, families and carers working with those suffering from sleep problems of any kind. It will be of great interest to anyone wanting to gain a thorough understanding of sleep in relation to ASDs. From leading clinical researchers, this volume presents important recent advances in understanding and treating autism spectrum disorders (ASD) in very young children. The book emphasizes empirically based assessment and treatment of core early social-communications problems that ASD-diagnosed infants, toddlers, and preschoolers may have. Scripting is a teaching method designed to help children and adults with autism spectrum disorders (ASDs), who are nonverbal or who are verbal but don?t initiate conversation, to initiate conversation. The authors draw on years of experience using scripts in their own clinic, and include many case studies that show how scripts have worked. The book defines scripts as ?an audiotape or written word, phrase, or sentence that enables young people with autism to use speech to start and continue conversations.? At first a child is taught to play the recording of a word for an adult, and then get a reaction from the adult. (e.g., if he plays the script ?juice, ? the adult will give him a sip of juice or if he plays the script ?ball, ? the adult will play ball with him). Later on, the child is taught to play the script and then say the word himself (and get the reward from the adult). As the child becomes better at talking, scripts are lengthened to become phrases --?want juice? or ?play ball? --- and then sentences. And once the child can read, scripts are written instead of recorded. As the child masters sets of scripts, the adult begins to diminish (?fade?) the prompts. If the script was recorded, words are gradually deleted from the recording. (e.g., if the script started out saying, ?Where is mom?? they will re-record it so it just says ?Where is ? ?and then ?Where ---?? At this point, the child should fill in the blanks. Create an appropriate learning environment to help children with ASD develop lifelong independence! Written by experts in special education and psychology, this user-friendly resource summarizes current research and presents a comprehensive overview of how to teach students with autism spectrum disorders (ASD). The authors discuss intervention strategies for implementing effective educational programs that give youngsters with ASD the opportunity to learn and interact with their peers. Teaching Students With Autism Spectrum Disorders addresses the most significant, everyday challenges that general and special education teachers face in reaching students with ASD. In this unprecedented book, expanded and updated, a gifted animal scientist who is also autistic, delivers a report on autism, written from her unique perspective. What emerges is the document of an extraordinary human being, one who bridges the gulf between her condition and our own, shedding light on the riddle of our common identity. Bringing both personal and professional perspectives, Dr. Heller is the ideal person to tell the world about this problem that will only increase as technology and processed environments take over our lives. In addition to heightening public awareness of this prevalent issue, she provides tools and therapies for alleviating and, in some cases, even eliminating defensiveness altogether. The Verbal Behavior (VB) approach is a form of Applied Behavior Analysis (ABA), that is based on B.F. Skinner's analysis of verbal behavior and works particularly well with children with minimal or no speech abilities. In this book Mary Lynch Barbera draws on her own experiences as a Board Certified Behavior Analyst and also as a parent of a child with autism to explain VB and how to use it. This step-by-step guide provides an abundance of information about how to help children develop better language and speaking skills, and also explains how to teach non-vocal children to use sign language. An entire chapter focuses on ways to reduce problem behavior, and there is also useful information on teaching toileting and other important self-help skills, that would benefit any child. 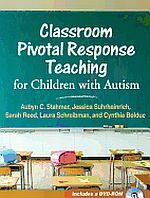 This book will enable parents and professionals unfamiliar with the principles of ABA and VB to get started immediately using the Verbal Behavior approach to teach children with autism and related disorders. Copyright © 2019, Peoplemaking. Page dynamically created on April 20th, 2019, in 0.013 secs.